Apple Spice is a classic from Gold Canyon that has been around for ages. Why it’s taken me so long to review it, who knows? So many candles, so little time is my go-to excuse. I will say Apple Spice is a favorite in my house every winter, and one I usually purchase every year. 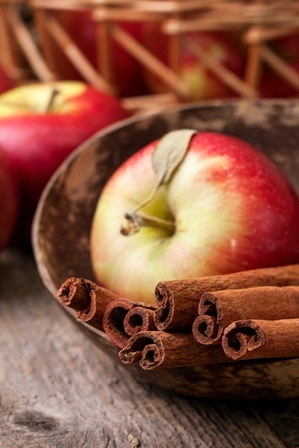 I love apple scents in all forms but add cinnamon to the mix during fall and winter and I love it even more. Bonus. Gold Canyon’s version is pretty darn good. Ripe apples. Warm cinnamon. Savory allspice. Simple but sweet. With my nose in the wax, all I could smell was warm cinnamon and sweet apples. Lots of cinnamon. It’s a perfect fall/winter scent that makes wherever you burn it feel warm and cozy. Time to light my candle! I’ve burned Apple Spice enough to know it performs best in a medium size room. With two wicks, it doesn’t take long to reach a full melt pool and the aroma, the scent stays very true… my guest bedroom was filled with the aroma of spicy cinnamon with hints of apples in the background. The predominant scent… lots and lots of cinnamon. It reminds me of that warm and spicy smell when you walk into an old fashioned country store. You know what I’m talking about? That pure and fresh ground cinnamon that lingers in the air. Strength – I would rate Apple Spice from Gold Canyon a 10 out of 10 in a medium sized room. 10 in a small. I’ve never burned this candle in a large room but my guess would be a 6/7 out of 10 in a large space. How did my Apple Spice candle burn? This candle burned perfect. Zero wick issues. Clean burning from start to finish. Apple Spice is a perfect cinnamon apple scent and a staple from Gold Canyon. I’ve enjoyed this fragrance for years and do recommend it if you’re in the mood for spiced apples with lots of cinnamon wafting through your home. 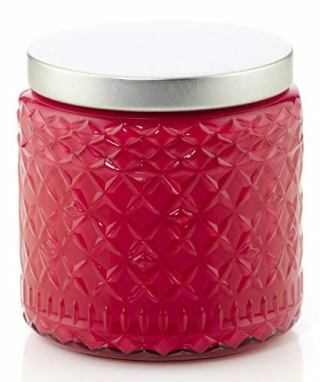 Gold Canyon is a demonstrator based company so you’ll need to find a local rep to purchase these candles. You can also order online through their various websites or through Ebay. I’ve been purchasing mine lately through Ebay and find I get better deals that way. It’s all up to you.